Home / Club News / Registration for the 2019 Pike’s Peek 10K is OPEN! Registration for the 2019 Pike’s Peek 10K is OPEN! We can’t do much about that unfortunately… But we CAN give you the warm fuzzies on the inside with some exciting news to make your training during these cold winter months worth it! Still feeling only lukewarm about that? What if we told you that IN ADDITION to the already low introductory price, the FIRST 500 REGISTRANTS will receive an ADDITIONAL $8 OFF?! That’s right – $40 registration to run in the 2017 “Best 10K” named by RunWashington’s “Best of Washington Running” & 2018 RRCA State Championship race! And we have a GREAT race planned for 2019, too! The 2019 race will again finish on Rose Avenue with a great finish festival hosted by Pike & Rose! 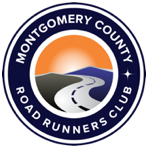 You won’t want to miss out on Montgomery County’s premiere road racing event! If you’re one of the lucky first 500 registrants, the discount will be given at the end of the registration process – just like that. No gimmicks or discount codes to enter. We don’t expect this deal to last long, so don’t delay – and tell a friend! Pike’s Peek Bargain Basement Sale! 2016, 2017 & 2018 race shirts available in select sizes for only $4.25 per shirt (includes sales tax) – get yours at checkout during registration!